I appreciate Dr. Cole’s warm approach and dedication to solving the challenges I have approached him with. He has been vigilant and caring. First relief I have had in 5 days. Thank you for hooking me up with Dr. Cole today. Between the silver IV, Aveno bath and crushed aspirin in Vaseline intensive care lotion I have no pain for the moment. Looking forward to getting some sleep. #shinglessuck. Thank you to Dr. Les Cole at St. Petersburg Health & Wellness for helping me to get my life back! I have been feeling pretty miserable for the past few years now. 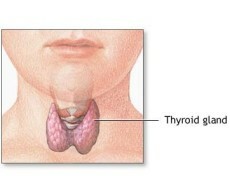 Getting my thyroid and hormones back in balance has been life changing! In just 6 weeks I am feeling like I’m back to myself. I am so grateful to be treated for my symptoms and not go unheard because my ‘numbers’ fit in a box. Very pleased to have called and made that initial appointment. Dr Cole and his assistant Nate are very knowledgable and caring. I would highly recommend Dr Cole to family and friends. Thank you so very much for your care! Great success! Dr has been working with me over the last six months on concerns requiring a delicate balance. He LISTENS and considers everything I tell him. He asks questions that amaze me! I am feeling better and really seeing results. Thanks Dr. Cole! It was incredible, he was able to identify and address the underlying imbalances of my body at a cellular level and clearly explained my test charts depicting every organ and function in my body. The whole staff is really nice and knowledgable. Im happy! Dr. Cole obviously cares about my health needs, and is very thorough in seeking out an understanding of the causes, and best treatments to help restore my optimum health. His staff is also very caring. Dr. Cole was an integral part of my efforts to sort out the changes I was experiencing in my 40’s. From hair loss, to moodiness, and chronic stomach problems, he was dedicated and attentive. Excellent doctor! So far my experience has been excellent. I have already recommended him to my friends. Dr. Cole really hears what I am saying. He has been the first Doctor who has been able to help me with my GI problems and has given me hope for continued improvement. I am so grateful. Nate is also kind, supportive, and I appeciate them both! I find that Dr. Cole is a wonderful healthcare provider. He is articulate, has great listening skills, and communicates in a very effective manner with his Patients. I appreciate his integrative approach to Health and Wellness. Dr. Cole took time to review my history, in its entirety, to see what my past and younger self demonstrated, to better gauge what my current self might need. I finally feel more like myself again! Dr. Cole’s gentleness, kindness and compassion put me at ease and enable me to feel comfortable in even the most uncomfortable situations. I continue to be amazed by the care I receive from Dr. Cole. I highly respect him as a person as well as a physician. I can honestly say Dr. Cole has helped save my life, and I highly recommend him to anyone with any health issues, questions or concerns. I am exceedingly grateful for Dr. Cole and the level of care he provides to his patients. Dr. Cole extremely knowledgeable, professional, thorough. Takes time to listen. Welcoming reception. Then, expert staff (Nate and Jeremy) guided me though initial intake, then follow up questions & check-out. I really felt comfortable & cared for. For years I’d been searching for a doctor who would be the perfect bridge between the allopathic and holistic approaches to health and healing. Despite my healthy lifestyle, I had been feeling increasingly uncomfortable and unwell. I knew I needed help. I was delighted to find Dr. Les Cole!